See my report under Chirripo. Route description: From the col separating this peak from Cerro Chirripo, proceed directly up towards the summit. This col has coordinates N09:28.882, W083:29.311, elevation 3697 meter. There is no trail, but the terrain is quite reasonable. There is a small cairn at the summit. 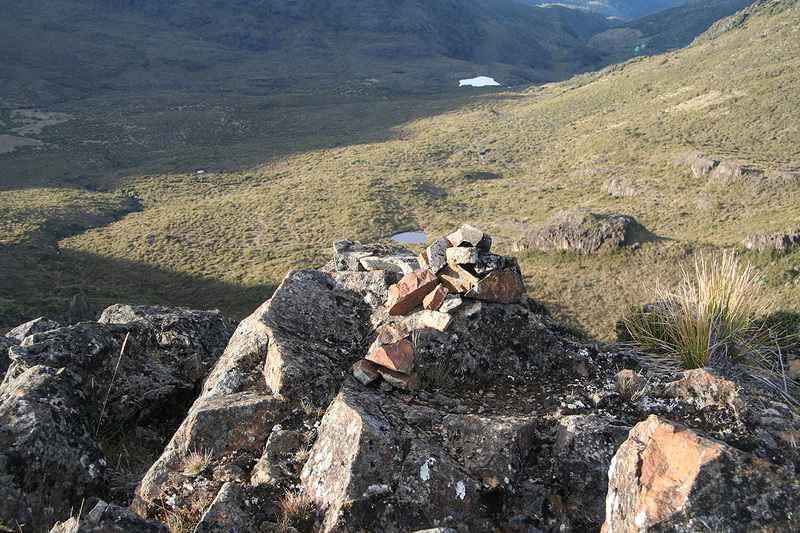 The summit cairn, note that the green mountain hut can be seen further down the valley. Summit view, Pico Sureste (left) and Cerro Terbi (right).